The Institute has a comprehensive UK network of 13 regional branches. Run entirely by passionate volunteers, IQ’s branch network is a major benefit to members, bringing people together from across the industry to share knowledge, network and socialise. IQ’s Yorkshire Branch is based out of Wetherby in West Yorkshire. Kevin continues: “I’ve been involved in the Yorkshire branch since the 1990s, so have seen many changes over the years. But the one constant afforded by branch meetings is the opportunity to meet face-to-face with people working across the sector. Spread across the UK, IQ’s regional branch network extends from Cornwall to Scotland. The 13 branches cover Derbyshire, Devon and Cornwall, Lancashire, London and the Home Counties, Midlands, North of England, North Wales, Northern Ireland, Scotland, South Wales, West of England, West Midlands and Yorkshire. Ben Uphill MIQ is an enthusiastic and active committee member of IQ’s Devon & Cornwall Branch and works as a Multi-site Manager (UK Clay) for Sibelco Group. Starting outwith Aggregate Industries in 1994, Ben did a five year apprenticeship in Engineering & Maintenance, working in hard rock and sand and gravel. In 2005 he completed his BSc (Hons) in Mechanical Design & Manufacture at the University of Plymouth. Following a nine year spell with Sibelco he went to Centristic as the Operations Director, before returning to Sibelco to look after its Kaolin operations, before assuming his current role. He says: “I see membership of our industry’s professional body as an automatic choice. It’s a badge of honour, reflecting my commitment to what I do and the importance I place personally on my career development. “That reaches into my role as IQ Council Representative, where I fulfil a role as an intermediary between IQ’s main council and my local branch. It’s a great way of generating two way communication about new ideas on practices and thoughts on strategic direction, as well as raising the profile of the Devon & Cornwall Branch with Council. Having marked its centenary in 2017, IQ is a modern, forward facing organisation that continuously reviews its fitness for purpose. That includes the role of its branch network and the way branches engage IQ members. Uphill continues: “I agree with Kevin that networking events and meeting up with colleagues are among the highlights of branch membership, but evolving how our branch networks work is key to unlocking greater engagement from across the membership, as well as encouraging new members to join IQ. “What is equally important is the ability of branches to update and adapt. Working practices change constantly, so we need to be attuned to these. And the way we interact and communicate with our branch members needs to reflect this. Devon & Cornwall covers a huge area and road connectivity is not always the best. So we need to find innovative solutions to ensure we stay connected, without necessarily having to leave site too often. “We have started to make subtle changes, so instead of running monthly technical evenings that require members to travel from all over, we now run them six times a year. And to mix things up a bit, we also host an annual field trip, which has proven very popular to date. Sarah Fry is IQ’s Business Development and Communications Manager. 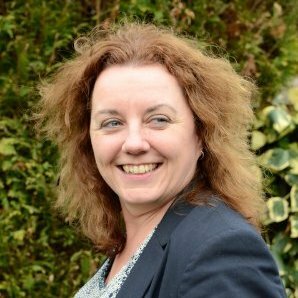 She adds: “We’re always looking at new ways to engage our members with content that’s meaningful and relevant, plus we’re really keen to increase the visibility and role of each of our branches. Whilst the social aspect of branch membership is clearly a high point, many of the activities and events that branches organise count towards an individual’s Continuing Professional Development (CPD). Technical Member, Member and Fellow grades of the Institute have a mandatory 30 hours of CPD required to maintain IQ membership per annum. Examples of activities that qualify as CPD hours include IQ technical evenings, seminars and conferences, toolbox talks and mentoring, all of which can be gained through branch activities. IQ makes recording CPD very simple. Members have access to IQ’s bespoke CPD recording App through both the Apple and Google Play stores. The App provides a simple, yet intuitive way to easily record CPD and store CPD records in once place. Mark Broadley FIQ is Chairman of IQ's Lancashire Branch and Business Improvement Manager with Aggregate Industries in Lancaster. A career quarryman, Mark started his career in 1982 with what was originally Ribble Cement at Clitheroe as an Apprentice Maintenance Fitter. Having transferred into the onsite cement works quarry in 1999 as Assistant Quarry Manager, Mark moved to Aggregate Industries in 2004 as Quarry Manager at Holme Park Quarry. He echoes the sentiments of Kevin and Ben. James Thorne is IQ’s Chief Executive Officer. He sees the branch network as the beating heart pumping out the lifeblood of the Institute to reach its growing membership. “As with all things in business, stand still and you die. But the IQ branch network has evolved over the years to adapt to the changing landscape of the sector. By their very presence in the regions that each serves, the branches provide a sense of collective belonging. Each focuses on issues that resonate with the region, which is why they are so important. Find your local IQ branch.